The U.S. Cancer Statistics data can be found here: https://nccd.cdc.gov/uscs/. The recently published Annual Report to the Nation on the Status of Cancer, 1975-2012, can be found here: http://www.cdc.gov/cancer/dcpc/research/articles/arn_7512.htm. I no longer work in CDC’s main press office. For future inquiries, please contact CDC-INFO at cdcinfo@cdc.gov or 1-800-232-4636. Unlike most other kinds of cancer, liver cancer incidence and death rates are going up. From 2008 to 2012, the liver cancer incidence rate went up an average of 2.3% per year, and the liver cancer death rate went up by an average of 2.8% per year for men and 3.4% per year for women. About twice as many men as women get liver cancer. In the United States, hepatitis C causes about 20% of liver cancers. People born between 1945 and 1965 are most likely to have hepatitis C.
Having hepatitis B also raises the risk for liver cancer. Asians and Pacific Islanders, especially Asians not born in the United States, are most likely to have hepatitis B.
Obesity, type 2 diabetes, and drinking too much alcohol can cause cirrhosis, or scarring of the liver, which can lead to liver cancer. by: Amy Goodrich Tags: Seralini, Monsanto, fraudulent scientists Twitter Seralini (NaturalNews) The Parisian High Court has ruled that French Professor Gilles-Eric Seralini, a scientist known for his controversial research linking GM feed with cancerous tumor growth in rats, was right when he concluded that GMOs are unsafe for human consumption. Marc Fellous, former chairman of France's Biomolecular Engineering Commission (BEC), has been indicted for "forgery" and "the use of forgery," in a libel trial that he lost to Prof Gilles-Eric Seralini. The BEC authorized multiple GM crops as safe for human consumption, while lying to the public and hiding scientific data suggesting GM food may be carcinogenic and health-damaging. When the scientists took a closer look at Monsanto's data, however, they found the Purina feed given to the control group to be contaminated with 12.8% GM soy and 35.6% GM maize, which wasn't even labeled as GM at all. stock here: These horrific criminal acts are as bad as the "doctors" in Japan using hand selected control groups in Japan to try to downplay the massive 550 times increase in thyroid cancers. Here is the findings of a "control study" of children away from Fukushima using ultrasound to detect thyroid anomalies (cysts and nodules, cysts are softer and more fluid, modules are harder and more likely to be able to be felt). They picked 3 cities for this "control group". 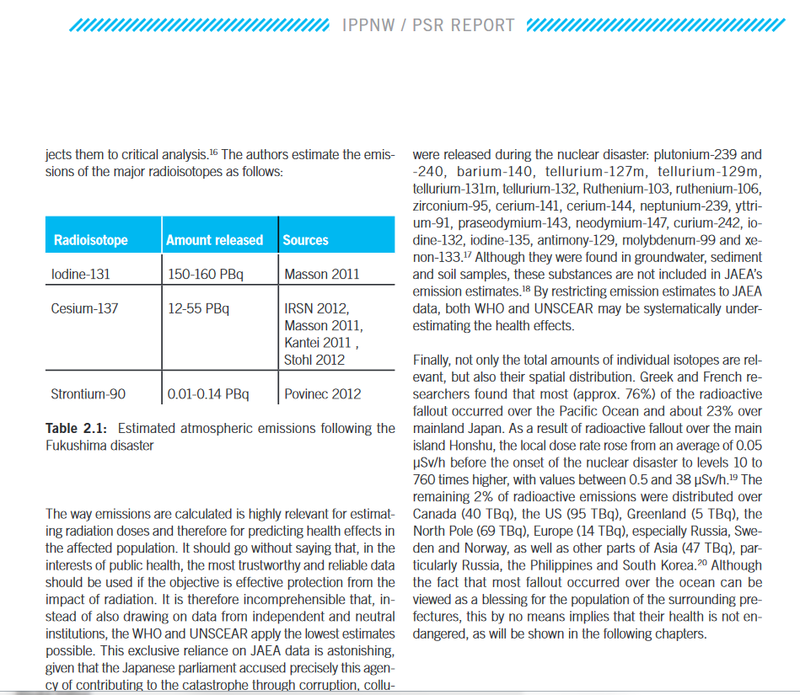 3) Aomori: Just north of Fukushima, many articles on severe contamination from Fukushima. 5 Years Living with Fukushima is a report outlining the devastating health effects of the still ongoing disaster of the meltdown of three reactors at Fukushima Daiichi. 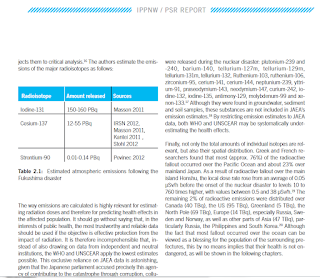 We estimate 10,000-66,000 excess cases of cancer, half resulting in death from this event, even using the underestimated radiation emission data from the WHO and the Japanese government. Already 16 cases of childhood thyroid cancer have been operated on in children who were cancer free two years prior. Fifty cases of possibly thyroid cancer by biopsy are awaiting surgery.